Former player of «Griffins» and «Koc Rams» shares for First & Goal his expectations from the upcoming matchup of these two teams in the Champions League. — Why and when did you take the decision to retire? — What current team Koc Rams is about? What football do they play ? — We have good athletes in our team. They generally have multiple game characteristics so this reflects our game. We try to adopt different game styles during the game, train accordingly and synchronise ourselves to our opponents. The players are either young promising players who are university students and have been playing not more than four years or veteran players. I believe this is a good combination for a football team. — They won all four matches this season. Is it the strongest team in Turkey right now? — Yes, actually Rams has an interesting statistics. We haven’t lost in regular season for the last four seasons… But at the end if you don’t win the final game, you can’t cite yourself as the best team… It is not right to say Rams are the best right now, we have to prove this by winning at the end… But sure we are one of the best in Turkey. — Who is the main star in their roster? — We have several import players as well as national team level Turkish players. I can’t name directly a star to you but there are several players who can make the big play. — Whether had the Turkish football changed for the time that you were not in the country? — I lived in St.Petersburg for two years while doing my masters degree in State University. During that time, I was also in touch with my team in Turkey. I can tell that Turkish teams improved themselves a lot. While teams improved themselves this also reflected to the league in general… Teams started to bring import players and find sponsors. This was something missing before 2012 which I believe was pulling down the quality of the organisations. — What about the quality of the fields in Turkey? 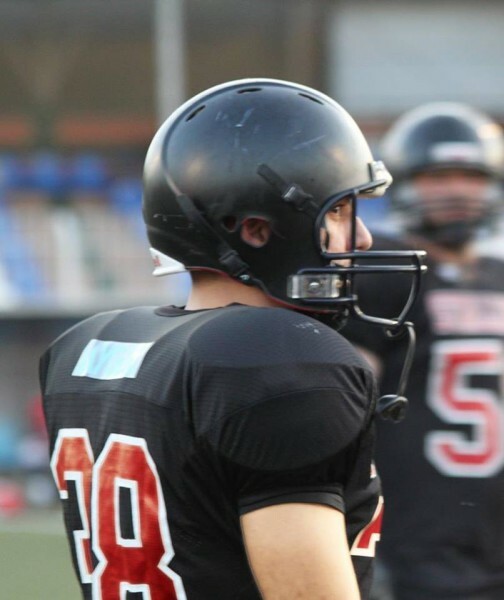 — Teams in Turkey are mainly university based, so they have the opportunity to use university facilities. While football (soccer) is widespread in Turkey it is now much problem to find fields with artificial turf but still we don’t have specific football fields; with goal posts etc. I believe this problem will be solved in the future. — How many foreign players in the roster and in other clubs? — Having import players in the squad is an important part of the development of our program. These athletes are professional and can forward their knowledge to younger Turkish players as well as they complete the missing parts when combined with the rest of good Turkish players. This is now 4th season that we add import players and this season four teams in Turkish 1st Division did the same. — What about Turkish national team? — Turkey has a mens national team but it is unfortunately inactive due to financial problems. This is Turkish Federation’s explanation when we ask… Turkish Fedaration declined the invitation to play in European Championship this summer. This is, of course, distracting for me. I hope while teams are improving themselves, they will also organise to form a decent national team organisation. 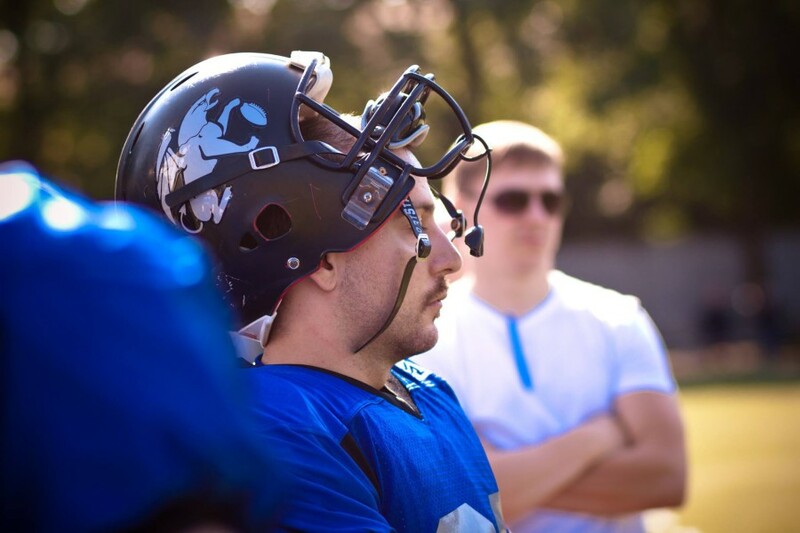 We see some examples of this; ITÜ Hornets formed a mens team to play in European Flag Football Championship last year. — Does the government allocate money for this kind of sport? 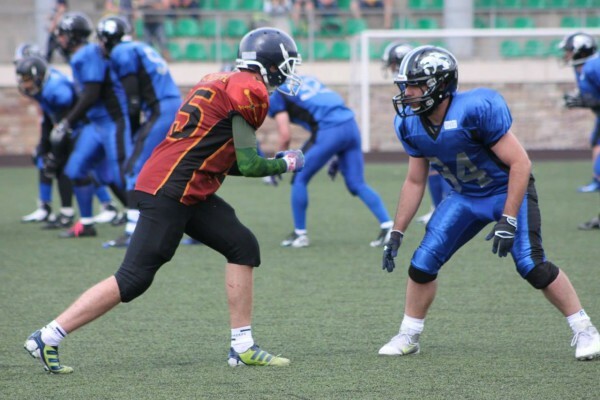 — There is an official federation in Turkey but not only for American football but also softball, baseball and rugby. But personally I am not satisfied with Turkish Federation. They are more concentrated in other branches and left American Football more to teams initiative. — Do you follow the games of Griffins in Russia? — Yes, it was really satisfying to watch Griffins finished the incomplete job in Russian final last year! — Who are the Griffins coaches and players you have formed the best relationship? — I highly value my relations with my teammates in Griffins. They accepted me to the team and I have the opportunity to learn more about Russia and Russian Culture. 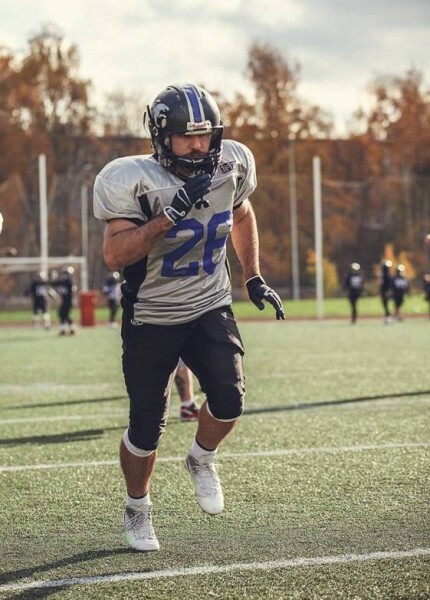 I had the chance to go cities like Astrakhan and Karelia or go to Finland for a friendly game… Of course, during trainings I spent most of my time with defensive backs and in general with defence. I wished I had more time to spend with them besides the training time but it was not easy to go via metro and back 2/3 times a week. — Have the guys from Koc Rams already ask you any information about Griffins? — Actually, I was already informing them while I was in Russian and I made some attempts to bring Rams to St. Petersburg for a friendly match but due to costs we went to Serbia. Also another attempt was made for Griffins to came to İstanbul and make a joint camp with Rams but wasn’t successful with the same financial reasons… Hope football in both countries will go on improving and we will be able to make such organisations to strengthen bounds! — What do your friends write you in social networks about the upcoming games? — I was very happy and also confused when I learned about the Champions League groups. The same goes for my friends as well. It is something interesting and rare I suppose… I will enjoy the moment for sure! — How will behave Turkish fans at stadium? In Russia, it is discussed the scandal associated with the match of Dynamo Krasnodar (volleyball team) in Istanbul. — I must admit that this is a hard situation but I think Turkish fans will come to the stadium to have fun but nothing more. We don’t have any ultras in our games. There can be some chanting but not political based but only in sports perspective. I am not expecting any situation like in Dynamo game in İstanbul. Personally I would not prefer such «fans» to come and disrupt a game organisation that should be like a festival. Before anything else this is the first Champions League game for both Rams and Griffins, so it should be played accordingly. — Will you go on to the stadium on Sunday? — Of course, I will be there! But I don’t think I will have time to sit back and watch the game comfortably due to my job in game organisation. — What team will you root for? — It is fact that if even %1, I am more Rams than Griffins… But I expect a good game and wish the winning side will move on to the final four! This will make me even more happy.